NEW PATENT CAMERA. 1887. 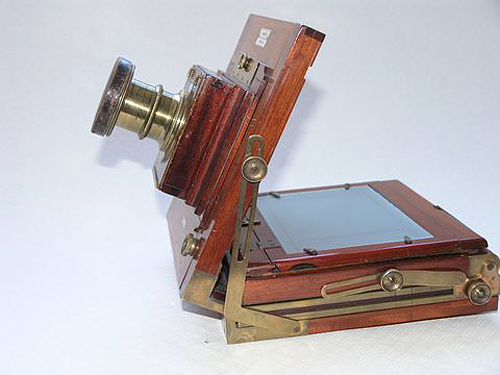 A rare 1887, hand-dovetailed, quality camera by James Ashford, 179 Aston Road, Birmingham. Made to patent No. 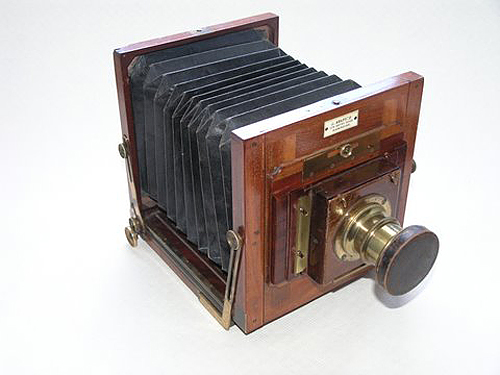 541 of 1887, it was one of the first cameras to use chamfered bellows. 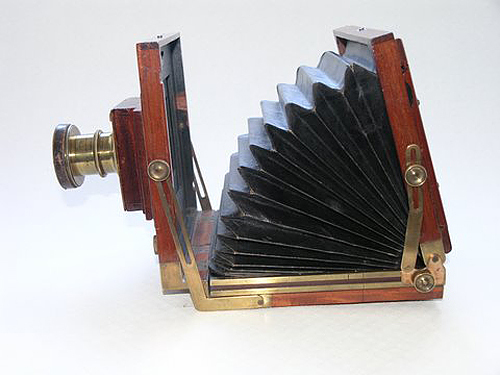 The patent specified the method of folding; the bellows detach a the front, then, using unique hinged brassware, the back and bellows are folded forwards into the recessed bed of the camera, and the front panel hinges back and down to cover it. Thus, the lens can be left in place on the front of the camera, instead of having to be removed, as on so many cameras of the period, and the ground glass is protected. Only dedicated dark slides can be used; one is with the camera.